One of the most common causes of lower back pain occurs when the spinal disks in the lumbar area become herniated. A herniated disk happens when the bone of the disk itself has crumbled or fractured and the soft inner core bulges out through the outer portion of the disk. This places pressure on the spinal nerve root that runs through the disks, and the result can be pain in the lower back as well as numbness, tingling, or weakness in the legs and buttocks. Medical doctors tend to treat acutely herniated disks with oral steroids and epidural injections of cortisone, both of which have limited success rates and adverse side effects. Recently, however, a major study published in the Journal of Manipulative and Physiologic Therapeutics has found that both chronic and acute herniated disks can be effectively treated by chiropractic adjustments. 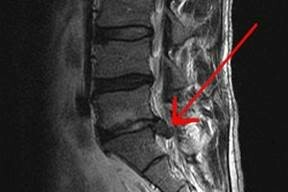 This year-long study followed 148 patients whose lumbar disk herniation had been confirmed by MRI scans. All patients suffered from back pain, sciatica, and radiating leg symptoms, and 79 of them had experienced these symptoms without noticeable relief for over three months. The results were surprising, especially because the typical clinical expectation is that only 36% of lumbar herniated disk patients will show improvement after two weeks of treatment. However, among the patients who received chiropractic adjustments in this study, 69% reported significant improvement in both mobility and pain reduction after only two weeks. At one month, that number increased, with 79.6% reporting conditions of better or much better. At three months, 90.5% had reported significant improvements. Interestingly, the chiropractic care in the study ended at the three-month mark, but assessments at the six-month and 12-month points found that 88% reported that their condition was still improved. The authors of the study reported no adverse side-effects and concluded that a large percentage of patients with acute and chronic lumbar disk herniation could be improved by chiropractic care. This likely comes as no surprise to the many chiropractors who have been treating herniated disks and the resulting lower back pain for years—or to their patients who have benefited from that care—but it is heartening to see scientific research catching up to what we’ve known all along: A drug- and surgery-free approach that treats the whole patient and helps their bodies to heal themselves is superior to masking the symptoms with painkillers or relying on dangerous steroids or epidural injections. So if you have been diagnosed as suffering from one or more herniated disks, see your chiropractor. You have only your chronic pain to lose, and so much to gain. This winter, keep your spine in alignment and enjoy better health and less pain. Routine chiropractic treatments can be your most important ally in your fight to avoid morning stiffness and pain. When someone needs treatment for back pain Wilmington NC, their initial response is to see their primary physician. Chronic back pain is one of the most common health care problems in the world, but in the United States, it is especially prevalent. In fact, more people in the U.S. suffer from mild to moderate back pain than cancer, heart disease, and diabetes – combined! This problem is also one of the costliest health conditions with it not only costing millions in lost wages and productivity, but also more than $50 billion a year is spent in their efforts to try and alleviate the pain. When someone suffers back pain in Wilmington NC, their initial response is to see their primary physician. In most cases, the doctor will prescribe medication to manage the pain, but this type of treatment isn’t always the most logical course. For starters, pain medication only “masks” the actual cause of the pain. The problem still exists and as such, there is a risk that the problem will worsen if not treated appropriately. Another risk with this type of treatment is the fact that many pain medications are highly addictive with the potential for severe negative side effects. In short, the back pain sufferer could wind up alleviating their pain at the expense of accruing additional problems. Chiropractic care is proven effective as a non-intrusive, non-addictive treatment option for certain types of back pain. In fact, in a study recently published in the Journal of Pain (Feb. 2014), researchers compared chiropractic spinal manipulation therapy (SMT) to no treatment and to placebo SMT treatments. The results showed that those who underwent SMT treatments had far better pain relief than those who had no treatment and those who received the fake SMT treatments. In another study published in an issue of Spine magazine (Nov. 2013), 183 adults with chronic back pain were divided into two groups with one group receiving professional chiropractic care and other receiving placebo adjustments. The test subjects were assessed for the intensity of their pain on a scale of 0 to 10. Their physical range of motion was also assessed using the Functional Rating Index standard. At the end of the two-week study, the patients who had received only two chiropractic treatments reported significantly less pain than the patients in the placebo group. They also experienced greater improvements in overall physical function (48% vs. 24%), and more satisfaction with their treatment (78% vs. 56%). The primary result of the study identified chiropractic care far more effective at treating back pain than placebo care. But, perhaps the biggest surprise was just how quickly the pain relief was felt, after just two treatments! Interestingly enough, Consumer Reports‘ subscribers also rated chiropractic care as being equally effective on neck pain, osteoarthritis, and several of the other 12 conditions being examined, and even more so than the relief obtained from prescription medications. What these studies show is that you don’t have to just live with your back pain. Most causes of back pain are treatable without medications and/or surgery. And best of all, relief can be felt quickly. Call one of Southeastern’s chiropractors for back pain Wilmington NC today at 910-202-4341, and discover for yourself the difference that safe and effective chiropractic care can make for back pain Wilmington NC. With six locations throughout the Wilmington area, we have an office conveniently close to you. Sports of all kinds can be grueling on the human body because virtually every manner of sport relies heavily on repetitive movements. When someone plays their sport professionally, odds are good that they have been playing that sport since childhood, resulting in a lifetime of natural wear and tear being accumulated over a relatively short period of time. One of the most effective and minimally-invasive ways of treating pain and injuries caused by repetitive movements is via the administration of a Wilmington NC chiropractor. If you need proof of how chiropractic care can help improve a pro athlete’s game, just take a look at the legend-making career of New England Patriots quarterback, Tom Brady. Since he joined the NFL in 2000, Brady has won three Super Bowls, has been named the NFL’s Most Valuable Player, and has been named as Sportsman of the Year by both Sports Illustrated and The Sporting News. He has also earned the NFL’s Offensive Player of the Year Award two times and the AFC’s Offensive Player of the Year three times. In 2009, he also earned the NFL’s Comeback Player of the Year from both the Associated Press and Pro Football Weekly. Over the course of his fourteen-year career in the NFL, Tom Brady’s body has endured plenty of punishment, yet he remains one of the game’s elite signal callers. Year in and year out, the Patriots reliably find themselves deep into playoff season thanks to his leadership and passing accuracy. Brady credits much of his success on the field to the chiropractic care he receives. “Chiropractic just makes you feel so much better. When I walk out of the clinic, I feel like I’m about three inches taller and everything’s in place. And as long as I see the chiropractor, I feel like I’m one step ahead of the game,” said Brady in a recent interview. Furthermore, Tom Brady isn’t the only professional athlete who feels this way. He joins such notable gridiron greats as Emmitt Smith, Jerry Rice, and Joe Montana in making chiropractic care an integral part of their post-game treatments. In fact, chiropractic care benefits athletes of all sports even after their careers are over. That’s why so many athletes like Barry Bonds, Wade Boggs, Charles Barkley, and Evander Holyfield make regular chiropractic care a part of their health and wellness programs. How Does Chiropractic Care Benefit the Pro Athlete? When a professional athlete receives quality chiropractic care, it enables them to play with greater mobility and less pain. They can think clearer and perform at a higher level. As an added benefit, seeing a Wilmington NC chiropractor can help athletes recover quicker from their workouts and in some cases even help them avoid injury altogether. If professional athletes rely on chiropractic care for performing their best, imagine what it can do for you! At Southeastern Healthcare, our team of chiropractor physicians can help you manage your pain and other health problems more naturally, and in some cases without the use of drugs or surgery. Discover the benefits regular chiropractic care can offer you. Make an appointment with one of our Wilmington NC chiropractor today by calling 910-202-4341. With six locations throughout the Wilmington area, we have an office conveniently close to you. Lower back pain (LBP) is a problem that affects more than 31 million Americans on a daily basis. While the general consensus may associate back pain with older adults and blue collar workers, the truth is that LBP is experienced by a surprising number of teenagers, in particular high school athletes. With high school back in session and student athletes returning to the field, now is the time to address the important topic of high school athletes and back pain and how seeing a chiropractor Wilmington NC can not only help alleviate their current pain, but even help them manage their future risk of lower back pain. Back pain is not a new problem in the United States. It is a concern that has been around for generations and there have been dozens of studies conducted over the years to help identify key risk factors, pain management solutions, and other data. One such landmark study was published in 2000. In the program, researchers studied adolescent risk factors for lower back pain over a 25-year period. The results showed that students who had lower back pain at age 14 had a much higher risk of suffering from back pain 25 years later compared to adolescents who didn’t have LBP. Researchers concluded that the risk of lower back pain in adults could have been reduced had the affected students received proper LBP care when they were young. In a more recent study published in the British Journal of Sports Medicine, researchers studied 464 male and female Finnish high school athletes across a variety of sports. 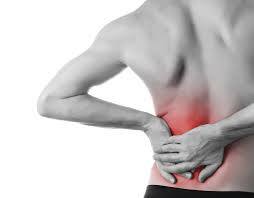 The study found that more than half of the student athletes (255 – 55%) suffered from lower back pain in the past year. 51 players (11%) experienced back pain for longer than four weeks, while 80 (17.2%) of the students suffered from pain so severe that they were forced to miss practice. The most telling part of this study was that only 73 of the athletes (29% of those with back pain) received any medical attention for their lower back pain. Parents of high school athletes should listen carefully to their sons and daughters and take their complaints of back pain seriously. In the old days student athletes who were in pain were regularly told to “walk it off,” but now we know better. Where pain is concerned, treating it today can help prevent it returning or becoming worse as your child ages. Parents should also be aware that similar studies have proven that chiropractic care is one of the safest and most effective ways of treating lower back pain in teenagers and young adults. A reputable and experienced chiropractor Wilmington NC can both help alleviate your child’s current pain and help reduce their risk of having lower back pain in the future. At Southeastern Healthcare, we have a team of chiropractor physicians who can help your child manage their sports-related lower back pain without the use of drugs or surgery. With a targeted curriculum of non-invasive care that extends beyond the playing season, we can help your child not only be more comfortable and effective both on the playing field and off, but we can also help reduce his or her risks of suffering from debilitating back pain as they get older. Make an appointment with one of our chiropractor Wilmington NC today by calling 910-202-4341. With six locations throughout the Wilmington area, we have an office conveniently close to you.